AGE! The three letter word that can cause many things! It can kill people, it can drive people crazy and also change people! But the question still remains! 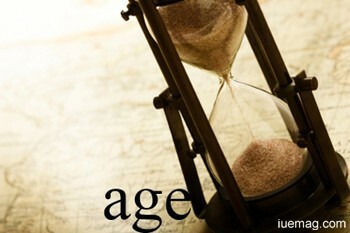 - WHEN IS THE RIGHT AGE? People, especially teens, are often not allowed to do things even though they are mature enough. For example they aren't allowed to hangout with friends even if they are in college. Some are not allowed to talk to girls/boys also. Some have no mobiles or computers. These restrictions annoy all teens and they often get angry on their parents. Teens don't realize that their is a reason behind every thing. The parents have lived in this world more than we have. They have got more experience than we have. So, there must be a reason for the restrictions. Don't get annoyed or angry; be cool and the right age will come! One thought for the teens also. Me being a teen, I know how it hurts to not do something you love. But is it actually right on the part of the elders to not allow us do anything? If we do, we get the experience and can be careful the next time. We can agree to what our parents say after the experience. We can also give suggestions to others who are facing the same problem that we were. This will give you more experience and also will help you gain respect. It has its own benefits. On the other hand, the parents are also not wrong nor are we. This is just a topic that can be debated on for hours and yet get no conclusion. Friends! Think before you take any step. Just be careful. Happy going! Any facts, figures or references stated here are made by the author & don't reflect the endorsement of iU at all times unless otherwise drafted by official staff at iU. This article was first published here on 25th July 2014.